The Grammy Awards were transformed into the greatest baby shower of all time, when Beyonce took the stage Sunday pregnant with twins — and once again proved herself peerless as a live performer. 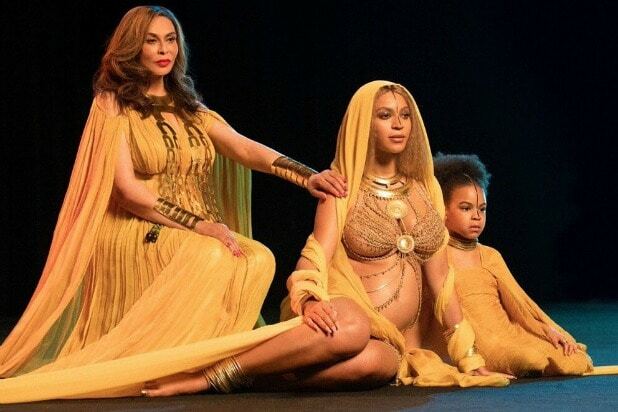 After Beyonce broke the internet with news of her twice-over baby blessing, the music industry and fans wondered for nearly two weeks what a Beyonce set might look like. Some expected a full and uncompromising show, while others predicated a simple chair and microphone. Beyonce is notorious for routines packed with intricate and precise choreography, raging vocals, elaborate and earth-shattering set pieces. Would Beyonce be able to do Beyonce with two other souls on board? As for the rest of the Grammys? We’re over here making lemonade. Beyonce performed “Love Drought,” a dreamy ballad about calling a truce in a relationship plagued by betrayal, and “Sandcastles,” about the inability to walk away from true love. Before she sang a single note, the star read a spoken-word poem against a video backdrop.It was the kind of video-art set she sampled at last year’s Tidal streaming concert in Brooklyn. The segment imagined Beyonce as many do — as a goddess, bejeweled in an elaborate crown wrapped in gauze. Beyonce is booked as the headliner for April’s Coachella festival, and it’s still very unclear if she’ll perform what is typically a two-hour set in the middle of the desert. This Grammys piece felt like every bit of the reverent, bittersweet buffet it was. She was introduced by her own mother, Tina Knowles. It was the perfect framing for what the contemporary music industry and delirious fans worldwide get to experience at this moment in her career — Beyonce has long been Queen Bey, but tonight, and as she continues to raise her family, she’s the queen mother.